Our laundromat is staffed with at least one attendant at all times to ensure you have all the help you need, when you need it. 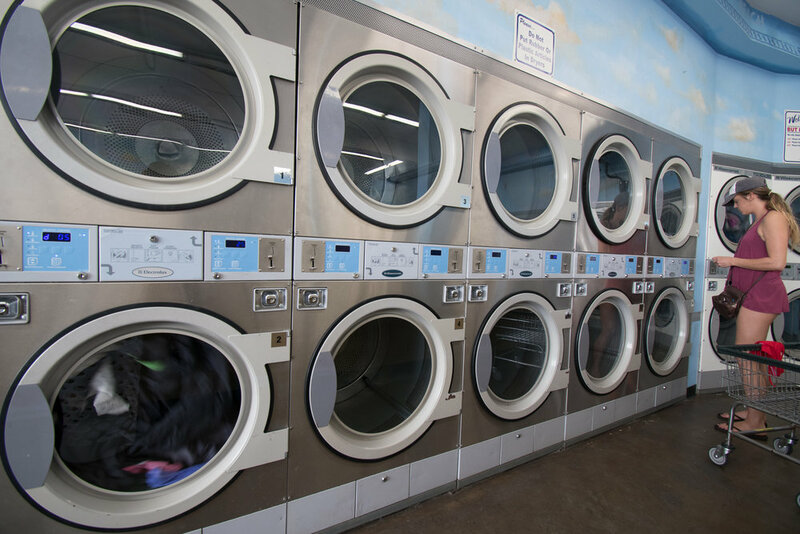 We have a selection over 30 high efficiency washers and 20+ dryers with an array of settings designed to accommodate any wash procedures you prefer. Our equipment is thoroughly cleaned inside and out daily to keep them spotless, and we keep the screens and filters clean and clear throughout the day. liquid softeners for your wash & sheet softeners for your dry, We even have laundry bags in various sizes and colors. Did we mention FREE laundry soap 7 days a week? Just one more reason why Pacific Beach Dry Cleaning and Laundry is the best in town.